Is there any flavor that says the holidays like peppermint bark? Ok, besides gingerbread. Or Grandma’s cookies. Or fruitcake. Anyhoo… I have a slight huge obsession with peppermint bark. I could eat it by the truckload. 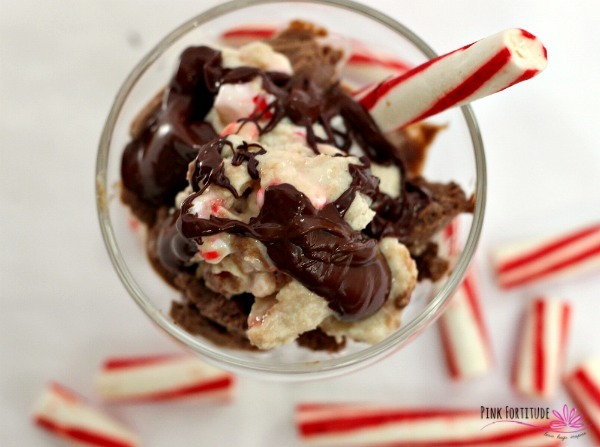 And when I figured out how to make peppermint bark ice cream… that is gluten-free, vegan, and paleo… it is now my #1 official favorite holiday treat. Trust me when I say it tastes like the real thing. Without the sugar, dairy, and guilt! I guarantee you will love it as much as I do! So funny story about Stepson. When he was a little guy, I introduced him to homemade peppermint bark. As many kids do, he mashed words and meaning. So peppermint bark became associated with tree bark and the flavor of mint. Any time he ate something or asked for something mint, he asked for “tree bark.” Fortunately, I could translate. He is not my genetic offspring, but I certainly passed along my obsession with peppermint bark! Soak 3 cups of cashews overnight, and then divide them in half for the two layers. Use a Nutri Ninja or blender to make a quick and easy ice cream consistency. I know that most vegan ice cream recipes call for the use of coconut milk. Unfortunately, I’m allergic to coconut milk, so this is a great alternative for you to try! You will want to ensure the chocolate layer is firm before adding the peppermint layer. And then let the peppermint layer freeze slightly to be able to add the crushed candies. Top with some melted Enjoy Life chips mixed with a few drops of EVOO. Love peppermint… everything? We have recipes, DIY’s and more! CLICK HERE! Love, hugs, and enjoying some tree bark nom nom. Thanks for linking up at the Homesteader blog hop! I am so pinning this and making it! 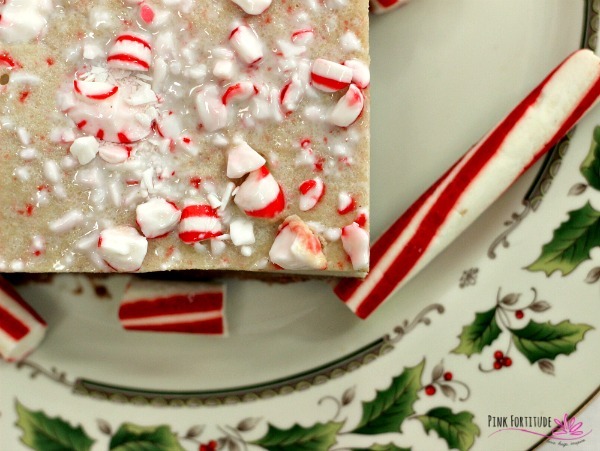 I LOVE peppermint bark and love the fact it is Vegan and Paleo! Thank you!! Those look so delicious. I must have it lol. Thank you so much for posting it. Thanks for sharing this wonderful looking dessert. 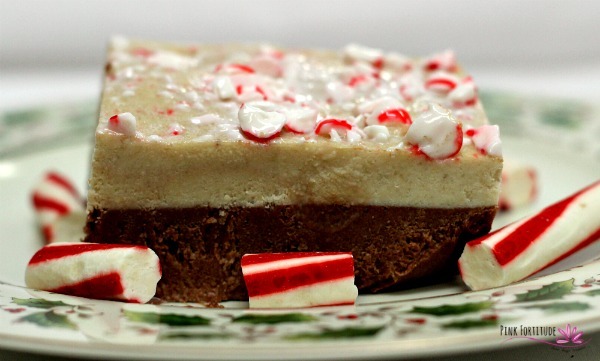 Nothing better to celebrate the holidays with than peppermint. this sounds so good! I don’t even think my family would are that its a healthy dessert! 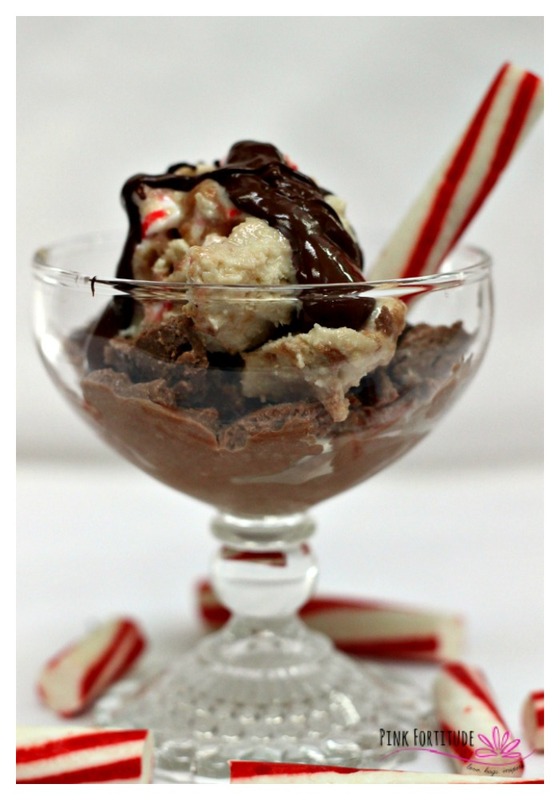 I am definitely going to try this recipe this holiday season! Sounds delicious, thank you for sharing. This sounds delicious. I think I will try making this recipe this week. Oh my this looks and sounds so delicious! I absolutely love peppermint so I know I would love this. I have never tried anything like this vegan- how awesome! 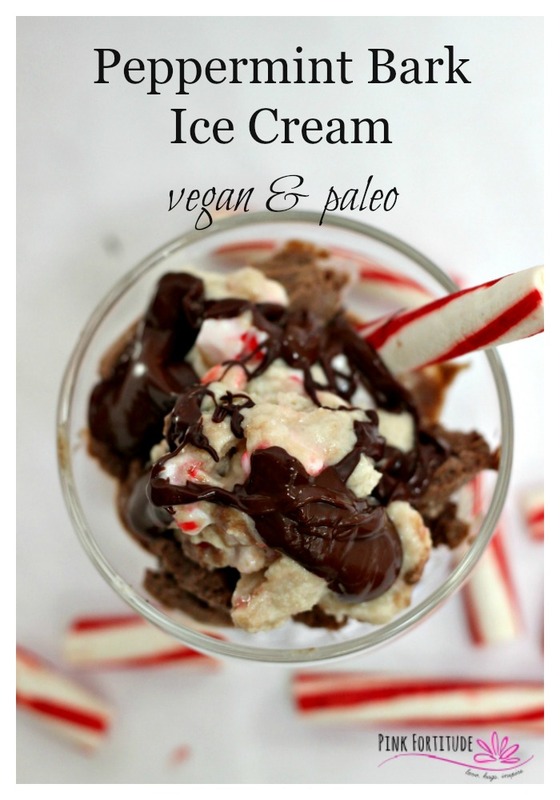 Perfect time for a great Paleo recipe with all the sugar that will be floating around this holiday season! Thanks for linking up to Funtastic Friday. I love Peppermint bark. This looks delicious. This looks so good! Very festive!